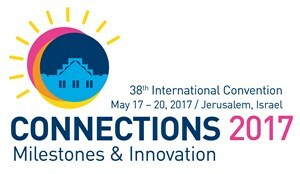 Follow us on our socials, #WUPJCONNECTIONS, and read our stories in the news, it's sure to make headlines as more than 400 Reform and Progressive Jews from 30 countries join us in Jerusalem on May 17-20. View the photos and read the stories from our four-day biennial conference that ended on May 20, 2017 following a meaningful and inspiring program of speakers, special events, Shabbat services, site visits and more. Click through to start! Please fill out this form to share "#CONNECTIONS 2017: All the Pics, Links and Press" via e-mail.